At Elevate, our philosophy is simple: We tell you what we would want to know if our roles were reversed. To us, this means that you are the most qualified person to make decisions for your family. You simply need the best information and the best advice along the way. We practice radical transparency. If you have a question, please ask. 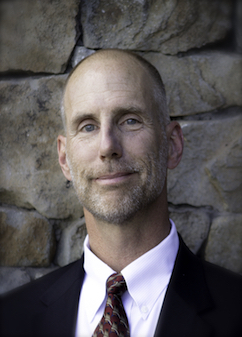 Mr. Armstrong is a founding member and the Chief Executive Officer at Elevate. His principal area of expertise is in creating retirement income strategies. Mr. Armstrong started his career at Northwestern Mutual in 1998 and quickly built a thriving practice by developing meaningful, trust-based relationships and putting his client’s interests ahead of his own. His desire for a deep understanding of his field propelled him to earn a collection of professional credentials that is virtually unrivaled in our community and enable him to advise successful professionals, business owners, and high net worth individuals. Ken lives in Eagle, CO with his wife Wendy and children Grace and Elijah. Outside of the office, Mr. Armstrong enjoys running, golf, mountain biking, shooting sports, skiing, and RVing. He is an active member of the Vail Church, the Organizational Leader for the local 4H Shooting Sports Club, the President of his office building’s HOA, and the coach of his son's tee-ball team. Mr. Fleury is a founding member and the Chief Investment Officer at Elevate. His primary focus is Portfolio Construction and Portfolio Management. Mr. Fleury's career started in the mail room at Nationwide Financial and he earned his first securities license shortly after, in 2004. Prior to launching Elevate, he was the Director of Investments in private practice at Northwestern Mutual. Mr. Fleury is pursuing the most respected and recognized investment management designation in the world, the Chartered Financial Analyst credential. He is presently a Level III candidate in the CFA® Program. Outside the office, Mr. Fleury enjoys golf, skiing, hockey and mountain biking. Beyond that, he simply enjoys being outdoors (no matter the season) with his wife, daughter and dog. As a Financial Analyst, Mr. Going’s primary focus is to oversee the firms investment operations to ensure portfolios are designed and maintained efficiently. Prior to working with Elevate, Mr. Going worked as a local agent representing Northwestern Mutual. He earned his B.S. in Finance from Louisiana State University in a three-year duration and has continued his pursuit of financial knowledge by enrolling in the prestigious CFA® program. Mr. Going was born and raised in Louisiana, but has since relocated to Colorado and is happy to call the Vail Valley home. Outside the office, he enjoys golfing, skiing, snowboarding, and hiking.